The homogenizer is often necessary to mix one or more substances within a liquid. 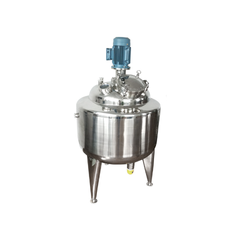 This device allows to micronize and scatters the particles suspended in the fluid, so that the product become highly stable, no matter the followings treatments and stockings the products may undergo. The homogenizer delivers unparalleled consistency and control of high shear process applications such as, Immiscible Phase Emulsifying, Homogenizing, Wet Grinding, Texturing, Deagglomeration and Fine Dispersing. The product arrives to the homogenizing at a low speed and at high pressure (cause by the little gape between the passing head and collision head). During the passage the product is subjected to numerous forces which cause the particles micronization: a violent acceleration followed by an immediate deceleration that produces cavitations and then the globules explosion. Strong turbulence united to high frequency vibrations. Collision cutting strengths derived from the laminar passage between the homogenizing valve surfaces and the following impact with the collision ring. Incorporating up to single sets of toothed rotor-stator heads, engineered to extremely fine radial tolerances, the Emulsifier processes product at high differential velocities, as many as 18 times in a single-pass. The result is consistent, repeatable quality at capacities exceeding those of conventional multiple-pass technology, such as in-tank high-shear mixers, colloid mills and shear pumps. Looking for Mixing Tank ?